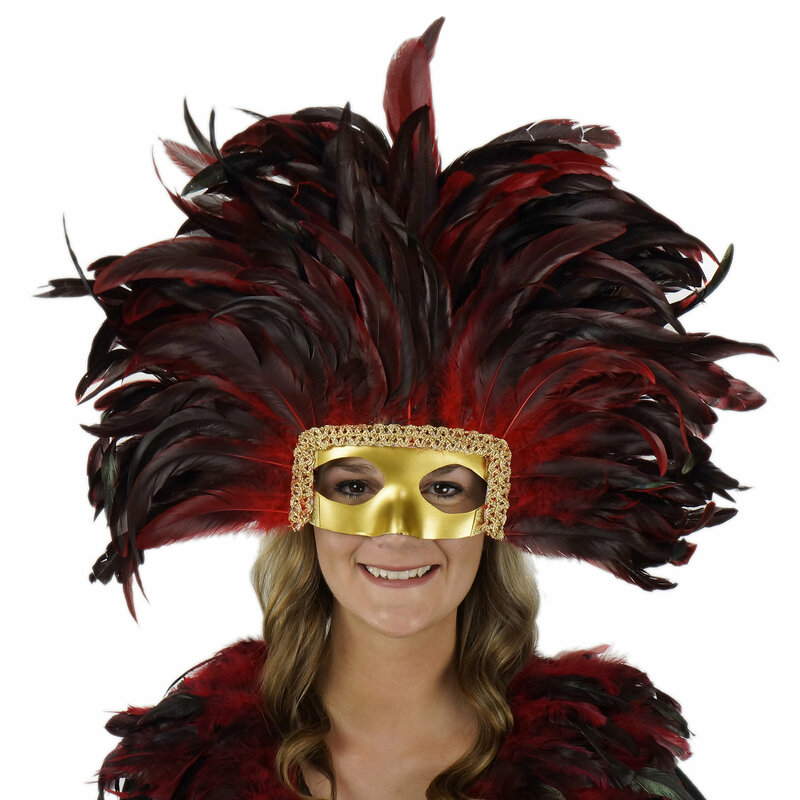 Feather Headdress with Removable Mask and Gold Details measures 13x22 inches. 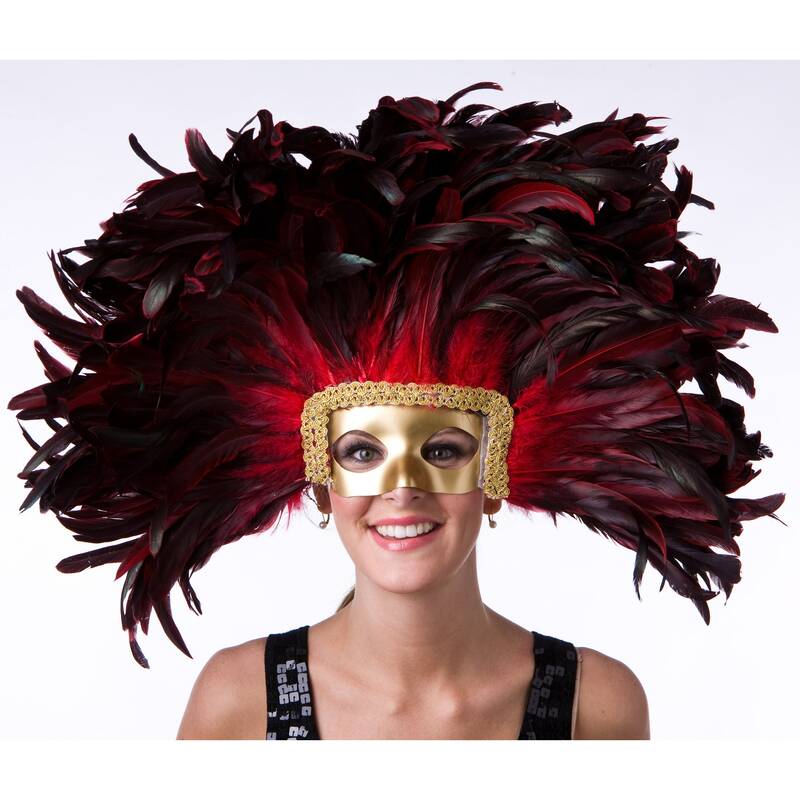 Made with 8-10 inch Natural or Dyed Half Bronze/Iridescent Rooster Coque Tail Feathers. 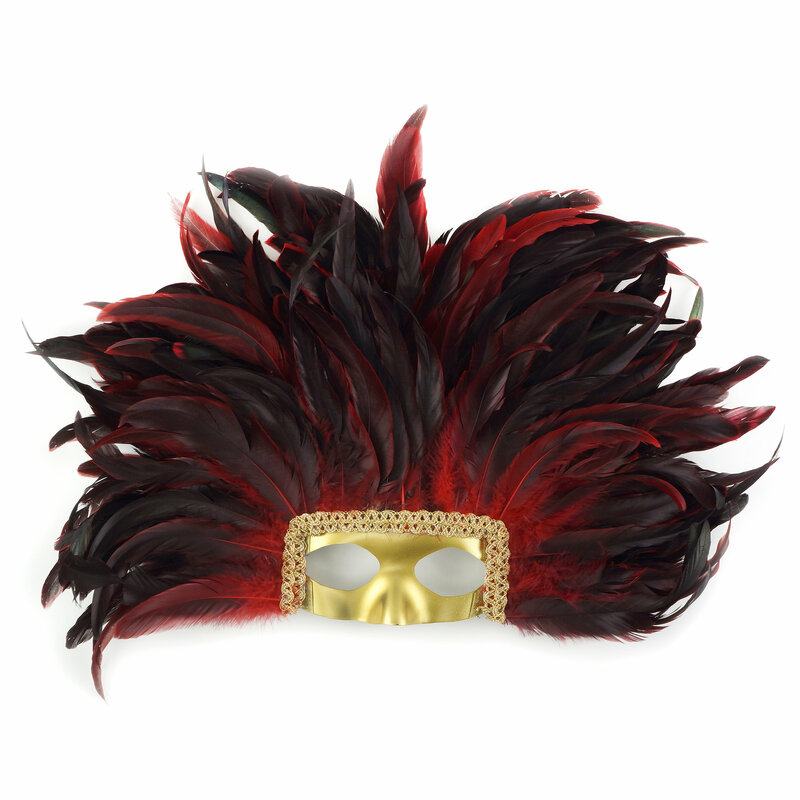 The gold half face mask form can easily be removed or re-attached and is trimmed with gold braided details. 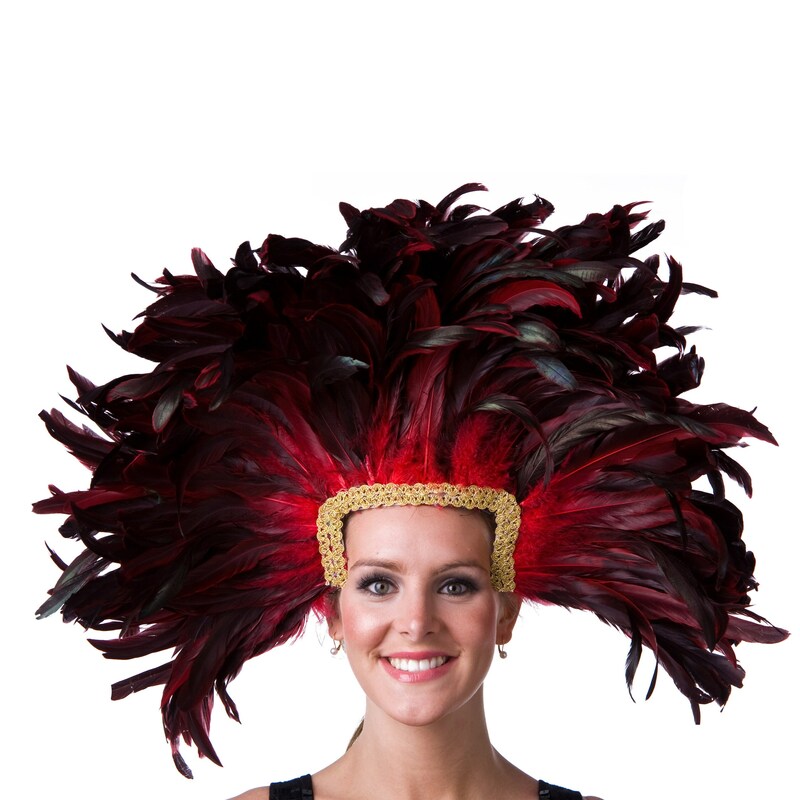 Additional feathers can easily be added to give this headdress a more exciting and dramatic look. 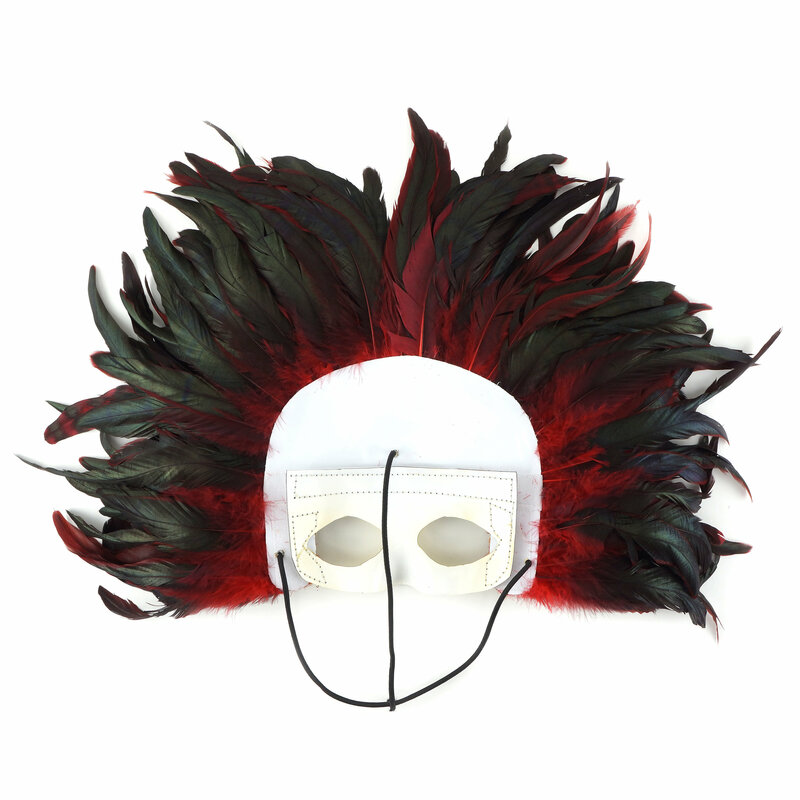 Black elastic T-straps keeps the headdress from falling forward. Available in Natural, Red, Dark Turquoise, Regal, Yellow, Royal, Shocking Pink and Black. Some handmade items or parts have been manufactured or have been packaged by our partners in China.